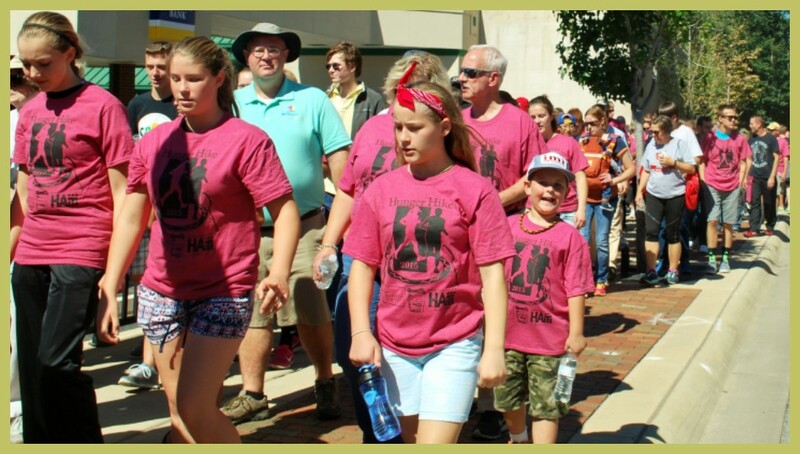 The Hunger Hike 2015 events were spectacular — filled with great excitement, high energy and genuine good will. The weather cleared up just in time for the HH5K Run on Saturday and was picture perfect on Sunday for the traditional Hunger Hike 3K Walk. Hundreds of caring individuals walked, ran, hiked, and donated funds to the Fight Against Hunger. 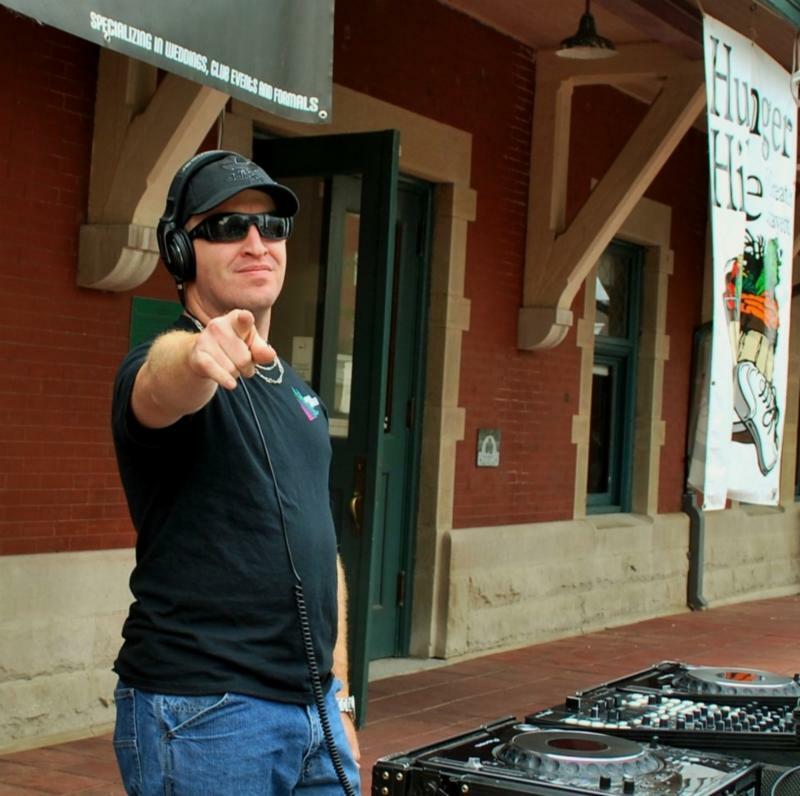 The crowd gathered together in Riehle Plaza with one goal in mind – Fighting Hunger. The event this year was special from beginning to end — starting with the Purdue Cheerleaders & Purdue Pete, National Anthem sung by Indiana State Representative Sheila Klinker & her daughter, Kelly Jacobs, director of music for the Cathedral of St. Mary; Zumba with Brooke & Kasie from Studio b Dance & Fitness — closing with a Celebration Picnic with hot dogs, chips & bottled water for all participants — and music throughout the entire event by DJ Powder from Rat Pak Mobile DJs. Riehle plaza also included face-painting & balloon animals from the Unlimited Smiles Clown Ministry, and massages from Raleigh Barrett from Innerwaves Massage Therapy. To welcome the hikers and to kick-off the hike, special guest speakers (see below) offered remarks which included information, words of inspiration and blessings to the hikers just before the main event. 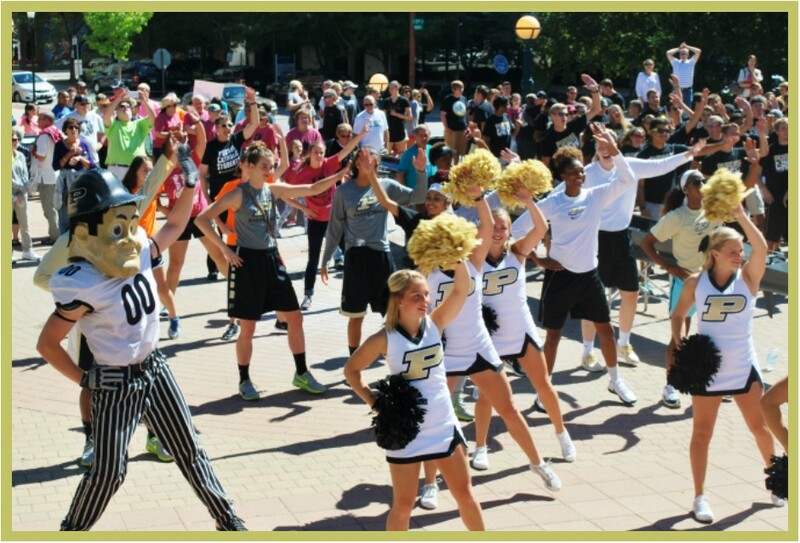 Purdue Pete, Purdue Cheerleaders, Boilermaker Special, Purdue Crew Team, Purdue Basketball Team & Purdue Volleyball Team led the hikers to the route over the Leslie Bridge into West Lafayette, through Wabash Landing, along the Wabash River and by the Purdue Boathouse. The event was successful in bringing much needed attention & funds to the battle against malnutrition, food insecurity & hunger. All of the greatest moments of the Hunger Hike 2015 weekend were captured in photos. Check them out on Facebook or Flickr. Please tag yourself & share the photos with #HungerHike. When you tag yourself and share — you’re spreading the word about Hunger Hike and our Fight Against Hunger.